The school crisis of having a shortage of learners who’s averages range from 80% and above. it is for these attributes that we saw the need to start a club which goes by the name YOUNG ACADEMICS, which focuses on a learner to learner style of interaction of a tutorial assistance. This will combat the weak spots of the learner concerned. 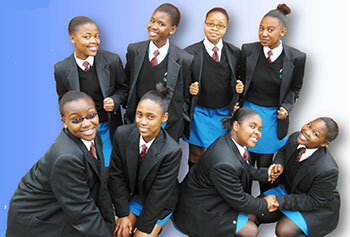 The main founders of the club are PRESTIGE BLAZER OWNERS (Gcilitshana Sibonise and Makehle Zenande). Of course this will not benefit commerce learners so we will also recruit matriculants who have averages of 70% and above to also be tutors. This will be highly beneficial to our matriculants as they will also be revising the work they did in previous grade (of which it is examinable in matric). A mutually beneficial relationship which encourages active citizenship, the act of selflessness and putting other people’s needs before your wants in order to play an integral part in the success of someone’s future. The rationale for starting up a book club and writing clubs is that there is a general lack of reading culture in South Africa. Where reading is done, mostly in schools, it is usually boring and done for academic reason. We believe that reading should be fun and that learners should be inspired by observing and interacting with reading role models around them as well as engaging with reading itself in enjoyable ways. 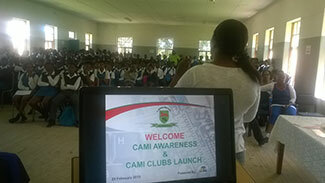 Two primary schools which are in turn feeder schools to St Mathews High School are involved. Every Saturday a group of three (3) main facilitators from the Sifunda Kunye Literacy Project conduct these with assistance from St Mathews high school girls who are constantly trained to inspire little children in reading and writing. The structure of a reading club is uniform with a clear program for each session. Generally starts with a group of singing and chanting, breakaway sessions with multiple smaller groups according to age and grade, for different experiences of storytelling, story reading, shared writing and paired reading. These book clubs consist of twenty (20) girls and boys. They are aimed to encourage reading in private time for fun inspired by the SKLP facilitators. These sessions are held weekly, learners include a spectrum from strong, average weak. The books that are used are bought by SK educational Foundation and some are donated by publishers in and around South Africa. These club teach writing for real reason, creative reasons and academic purposes. 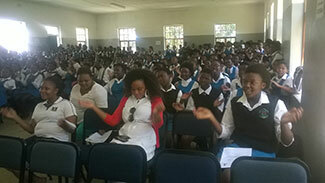 These include 20 learners between grades 10 and 11. They take place weekly and their main focus is on short stories, autobiographies, poetry, writing of arguments and discussion, and writing of academic reports and newspaper articles. The final drafts of learner’s creative writings will be compiled and edited by SKLP facilitators and published in a journal on a yearly basis. The President’s Award for youth Empowerment is a registered non-profit organisation (004-920NPO) with Public Benefit Organisation status, registered with the South African Revenue Services (PBO#930001329). 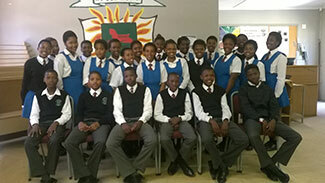 The programme was founded in South Africa in 1983 under the banner of the Gold Shield Award, with Dr Ian Player as the first Chairman, and in 1994 it was re-launched as the President’s Award for Youth Empowerment, with Mr Nelson Mandela as the Patron in Chief. On the 14th of August 2010 the baton of patron in chief was handed over to President Jacob Zuma, the president of the Republic of South Africa. In its 30 year history, the Award has reached over 130,000 young South Africans. 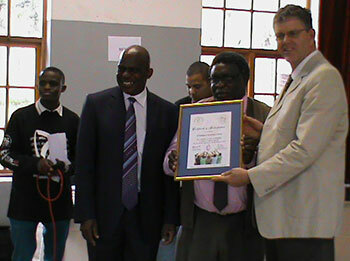 Affiliated to the Duke of Edinburgh’s International Award, which was started in 1956, the President’s Award for Youth Empowerment is a full member of the International Award Association, which oversees the Award programme in over 140 countries globally, with 25 of these being in Africa, with a total of 850,000 active participants internationally. The basic philosophy informing the Award is the focus on Individual challenge and development. As every individual is different, so too are the challenges that young people will undertake to achieve the Award. With guidance from adult award leaders (e.g. teachers) every young person is encouraged to reflect upon their interests, abilities and ambitions and set themselves challenges in the four different sections of the Award. Open to young people between the ages of 14 and 24, the Award consists of 4 sections: Community Service, Adventurous Journey, Skills Development and Physical Recreation, which can be achieved at Bronze, Silver and Gold Levels. The Award levels are progressive and as one moves from one level to the next, the requirements increase, which in turn intensifies the challenge, requiring increasing levels of commitment, perseverance and determination from the Award participants. There are over 15,000 active participants in South Africa annually and the programme is promoted through three broad target areas. 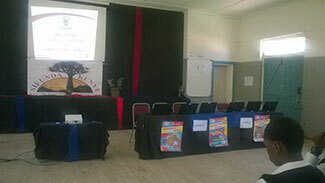 READY/RE-integration and Diversion for Youth: In operation in over 70 Department of Correctional Service’s facilities in seven provinces where the programme is utilised as a rehabilitation tool. In the last 10 years, Award participants who have completed the programme have collectively undertaken 598,320 hours of community service, estimated to be valued at R11,966,406. That is over R1 million a year. We work with learners from different grades, who parcipate in Reading Club as volunteering facilitaors, some from writing club, book club and drama club. Our focus is to develop materials,depending on the skills we have within the group. We have already started our first project, called Story Book Project. In Story Book Project, we have already developed 3 short story books for foundation and intermidiate phase – these booksare writen and illustrated by the learners. We are planning to launch them during our Creative Arts Day, which will be on the 25th July 2014. 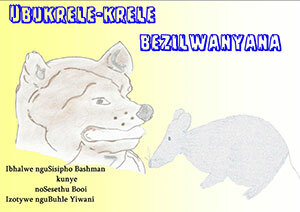 In this year alone we are hoping to self publish about 10 books writen by our learners (8 short story books and 2 compilation anthologies). 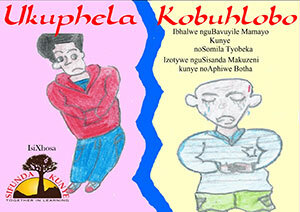 Below we have information concerning the three books we are going to launch during our Creative Arts day. We have two groups of Drama, who are preparing to showcase their plays during the Creative Arts Day on the 25 July 2014. 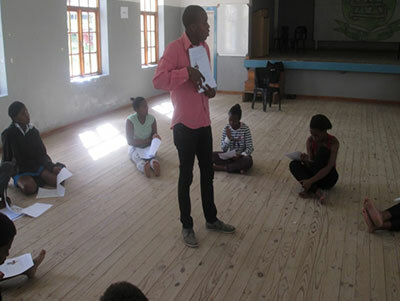 From February 2014 we had only one big drama group facilitated by Xolela Kenene , after the arrival of Cebo Solombela on the week of 7th April 2014 we decided to split the groups in to two to make it easy for facilitators to be productive. In this period we have managed to accomplish much in the drama club, when we look back to our first day of rehearsals and the present time, We can see many improvements in learners performing art skills, on their confidence, self-presentation and communication skills. Our play for the upcoming creative arts day is titled: Uthando Aluboni/Love is Blind written and directed by Cebo Solombela, working along with St Mathews writing club learners on translating and co-writing the play. Pictures during rehearsals and warm up exercises. Cebo Solombela is making clarities of Notes on Acting Techniques and Script cold reading. 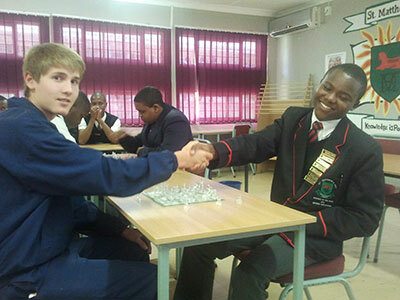 As part of the Development Plan the school launched the Chess Club. 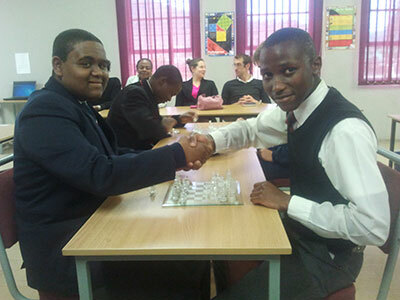 Unfortunately, by the time the school was challenged on a friendly game by St. Andrews College, only two learners showed active participation (enthusiasm) towards playing chess and were in-fact still good at it. 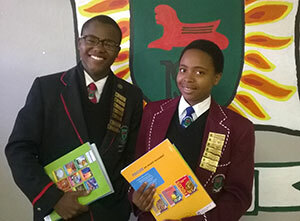 Those two learners are namely Luvo Shasha and Sibonise Gcilitshana. Frightened by the idea of having to play against such a school which is highly recognised for its excellence in a lot of fields, the boys thought to themselves how they are going to take this one home. They really gave it their utmost best and a wonderful turn of events happened when St. Matthews Chess Club beat St. Andrew’s College. I really think it comes down to the point again that no matter who or where you come from, If you tell yourself you’ll make it, then you will.